I am very careful with razors… now. Eating out is easier than cooking. It was the week following the first (and second to last) Baker Book House Battle of the Bands. My old roommate, Adam, had come up for the show from his home in Ohio. Since putting on a concert with multiple acts without any prior experience is a difficult thing, my wife and I decided that I could do with some time off and away from work. So after the concert was done, I packed up a bag and rode home with Adam for the week. I was pretty excited to get away and be able to focus on writing and creative collaborations. I was just getting into writing my Thom and Tom series at the time and I had this dream that Adam would be my illustrator and I would be the writer and together we would become rich and famous by our creative abilities. Back in college, we were constantly doing projects together, so I was really looking forward to getting back into the creative swing of things. So while Adam worked during the day, I worked on new stories for my lead squirrel (Thom) and his invisible roommate (Tom). When I wasn’t actively working on new stories I was refilling my creative well with books, movies, television, and napping (napping counts, right?). It was a very relaxing week. That is, it was a very relaxing week until the afternoon when I was getting ready for a nice dinner out with Adam. The dinners before this night had consisted primarily of bachelor food (pizza, cold pizza, fast food, and chips), but on this night, Adam wanted to take me somewhere nice. This being the case, I decided that it was time for a shower and shave. Now, I shave my head. I have for a very long time. It isn’t because I have early onset male pattern baldness and decided to admit an early defeat on the fight for hair. Mostly, it is because I had a pretty short hair style before I entered my bald years and keeping up on the maintenance of haircuts (every two weeks) and hair styling products (shampoo, conditioner, hairspray) adds up. I shave my head because I have a nicely shaped head and I am cheap. If anyone out there is now thinking about the convenient life of a shaved head, take a moment and feel that noggin of yours. Is it lumpy in places? Do you have a lot of moles or head acne? Remember that I said that I shave my head because, in addition to being cheap, I have a nicely shaped head. Okay, so anyway, there are a few different tools to use when shaving your head. 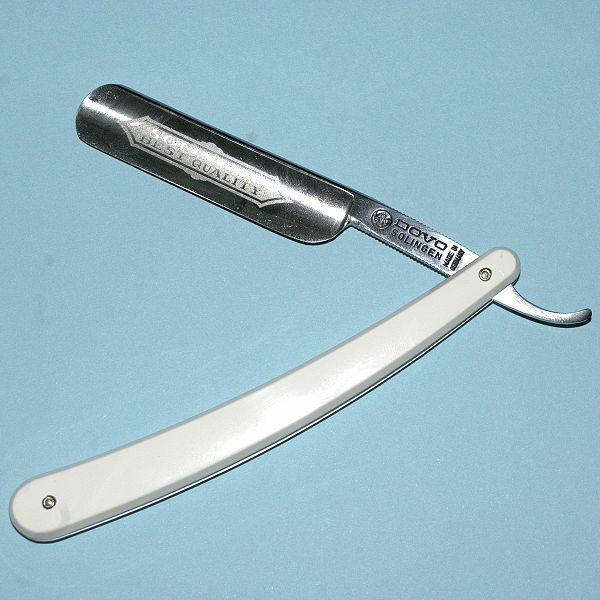 There is the barber’s straight razor, which is a decapitation waiting to happen. 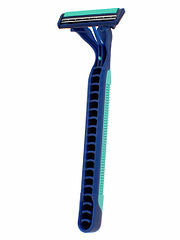 There is the traditional handheld razor, which most men use on their face (and most women use on their legs). There is the electric razor (which doesn’t really work for a close shave). And there is the Head Blade, a razor specifically designed for head shavers like me that is made to be held close to the palm of the hand and used in the shower. When I was getting ready for that evening’s dinner, I was using the Head Blade. I had purchased the Head Blade a few weeks before and was very happy with its performance. Every couple of days, I would shave my head, and it worked like a charm. Once I waited three days before shaving, and it was a little uncomfortable, but I didn’t think much of it and went back to shaving my head every couple of days. The week that I spent at Adam’s, I had largely neglected my daily hygiene rituals, so it had been almost five days since I had last shaved my head. That should have been a warning sign. The thing about the Head Blade that I should have picked up on from prior experience was that when hair is too long, it doesn’t behave correctly. 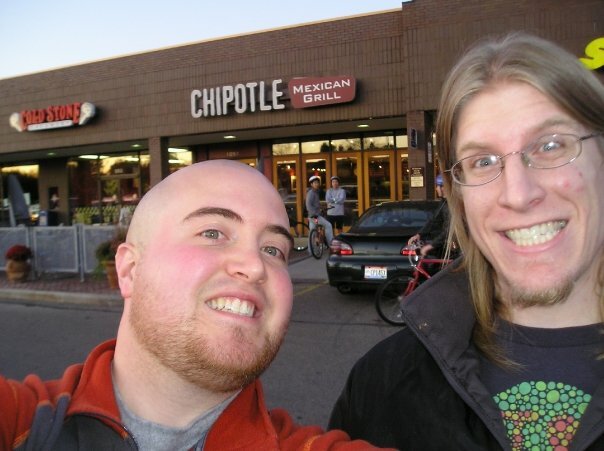 So when I tried to shave my head that day, mere hours before heading to a nice restaurant, I ended up with a half-shaved head and a healthy gash of missing skin atop my glorious dome. When it first happened, I was in a bit of shock. I mean, who isn’t phased by seeing soap bubbles one minute and red water the next? When the bleeding didn’t stop right away, I decided to get out of the shower before I fainted (how embarrassing that would be!). But I didn’t want to get blood all over everything as I got out of the shower and being in a strange apartment, I didn’t know where Adam’s over-sized bandages were. So I took one of his towels and wrapped it around my head, forever after making it look like something found in a slasher film’s laundry. As I was getting dressed, my cell phone rang. It was my wife. I learned a new thing not to say to the woman you love who is many hundreds of miles away. It was something like this. Only not fake. “I’m just trying to stop the bleeding,” I said. Then, after about five minutes of trying to calm my wife down, we continued our conversation normally. I told her about the week thus far, that I was getting some good writing done, and that I missed her terribly. After a while, I unwound the bandage and assessed the damage. It was pretty gross, not just because of the part where the skin was missing, but also because of the parts around that that were still covered in hair. I did my best to shave the remaining bits without getting too near the open wound. The result was better, but not enough to make me look like anything other than a brave survivor of some terrible tragedy. When Adam got back from work, I showed him the towel, apologized profusely, learned that he didn’t have a bandage for me anyway and donned a hat for dinner. When I got home from my trip to Ohio, I threw the Head Blade away, and let my hair grow out while my head healed. I use a normal handheld razor now, and very carefully. The sharp tinkle of breaking glass chilled Dana’s blood. Time slowed as she ran to the living room. 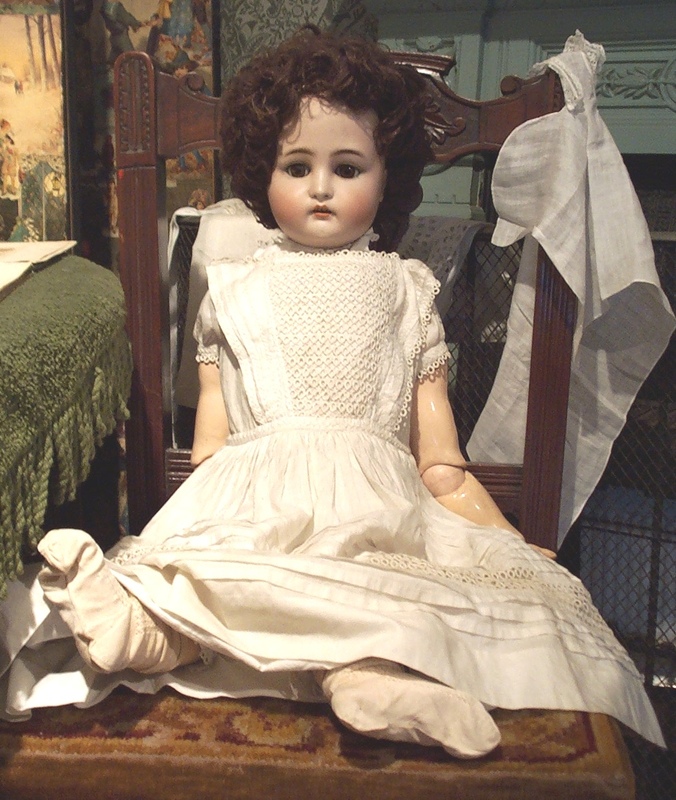 But the mother’s fears were instantly replaced by a mother’s rage when she saw that Becca was safe, still, and holding the antique doll that once sat encased atop the bookshelf. “She doesn’t believe you,” said the dog. Like Flash Fiction? Try my challenge today! See my example here.